The annual General Assembly pertaining to the renewal of the collective insurance plan will be held Tuesday, November 20th at 7 p.m. in Laurence Patterson Room at the EMSB Head Office, 6000 Fielding Avenue. Many changes to the collective insurance plan will be presented to the members. It is important that all members be present to voice their opinion! During this General Assembly, changes to the APPA Constitution will also be presented to the members. This General Assembly will be held in English as it is exclusive to EMSB members. NEW FOR THE GENERAL ASSEMBLIES: Two door prizes will be drawn for every 50 attendees. Don’t miss out! 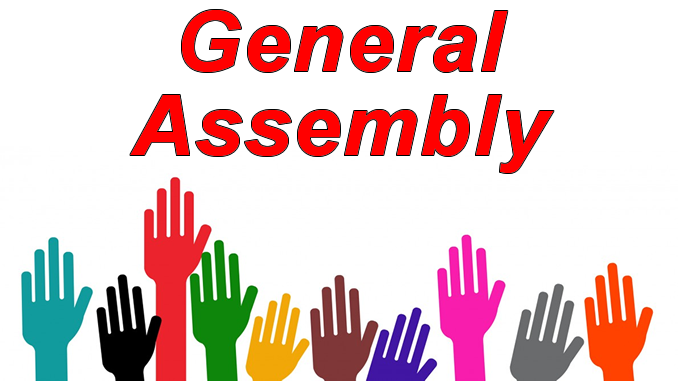 To view the agenda and complete information about this General Assembly, click on “More Information” below.